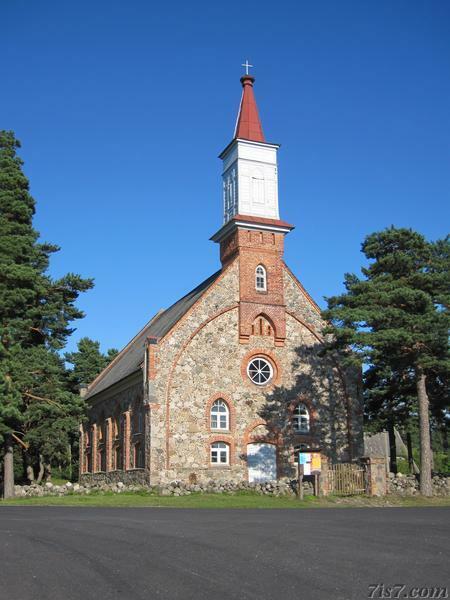 Saint Michael's church in Häädemeeste was completed in 1874. 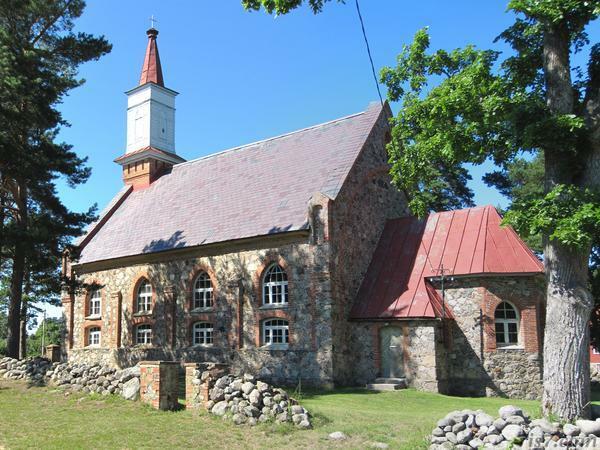 The distincive walls of the church are made of land stones1 with all doors and windows lined with red bricks. The bell tower is made of wood. 1: Land stones are what Estonians refer to as "maakivid", litterally stones of the land. They were transpoted to Estonia by glaciers during the ice age. Location: 58°4'47"N 24°29'58"E on: Google Maps, OpenStreetMap, Maa Amet.